What a wonderful appetizer or lunch ! 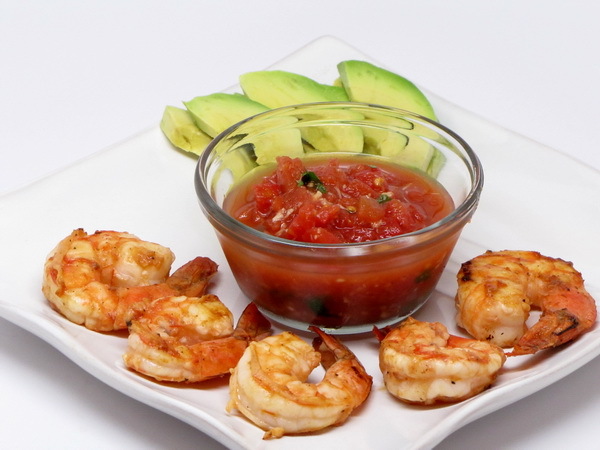 The marinade makes the shrimp nice and spicy. And the sauce is a great deviation from the typical ketchup and horseradish mixture…this one uses tomatoes and has a much fresher taste. Try dipping your avocado slices in the sauce too – the flavors go together perfectly. Prepare sauce and refrigerate at least 2 hours. 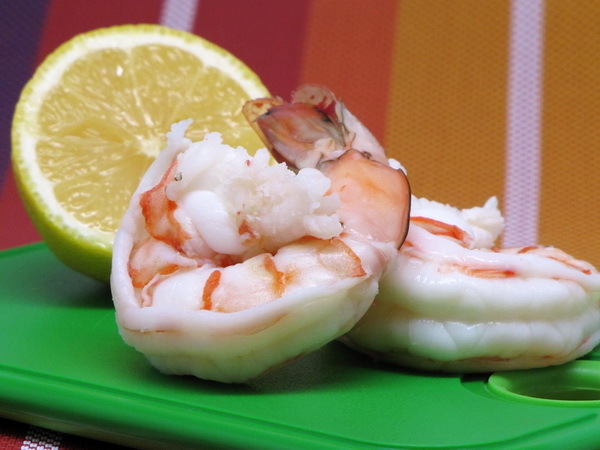 Place shrimp in a zip loc bag with the juice, sauce and garlic and place in the refrigerator 1 hour. Heat grill and spray a grill basket with Pam. Drain shrimp and sprinkle with salt and pepper. Grill 7-8 minutes or until done. Serve with cocktail sauce and sliced avocados. If you don’t have a grill, you can broil or pan fry the shrimp. When you are using shrimp in a shrimp cocktail, splurge and get them at a fish market or a food market that has a good fish department – they are just fresher and better suited to cocktail. I like my cocktail sauce very zesty – if you cannot find a spicy enough one at the food store or fish market, just stir in some extra prepared horseradish. Spritz the shrimp with lemon and put on a plate with cocktail sauce for dipping. Mix cucumber, salad and dressing.